The QRF900, the next generation of interactive response technology, has a full-color, 1.7 inch LCD display, giving responders more room to view questions and answers. Presenters or participants can easily type short text or numeric data on the alphanumeric keyboard. The device can be used wirelessly on-site at a range of up to 250 feet. Answers are automatically stored when out of range, allowing responders to complete surveys and quizzes from home. 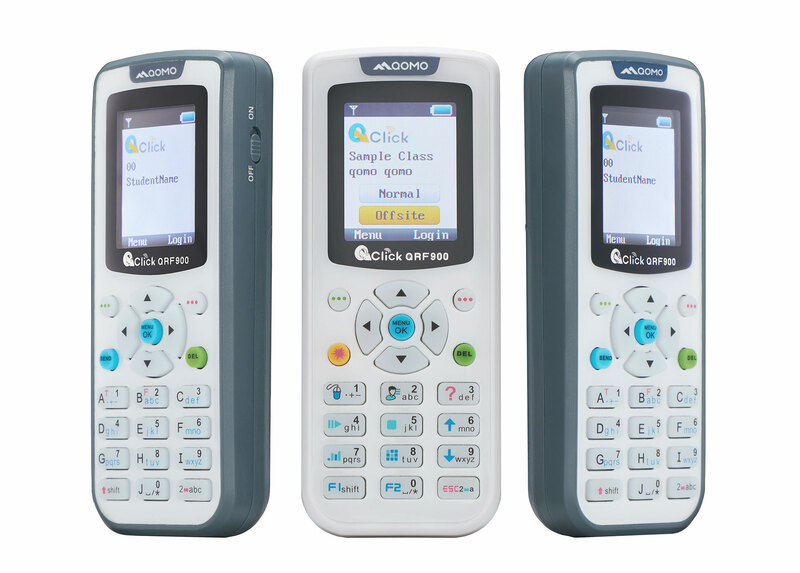 The easy-to-use QClick software package offers ten unique activity modes including testing, gaming and ad-hoc. Users can create new quizzes within the software or use existing Powerpoint presentations and other files to administer polls, quizzes, and assignments to their audience. The QRF900 works with a variety of quiz formats and includes individual and group participation modes.